I couldn't believe it when I saw it, but Faithlife is giving away Nahum Sarna's JPS Commentary on Exodus for free! And if you pay $1.99 more, you can get Uriel Simon's JPS Commentary on Jonah too. Here is the link. Just last week I arrived home from ETS/SBL. 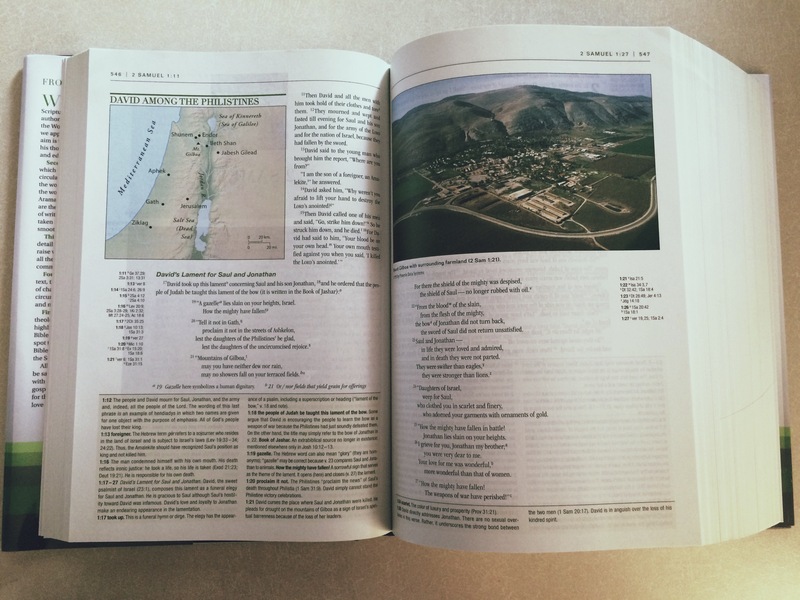 While there, I received a copy of Zondervan's new NIV Study Bible, since I am a member of IBR. I felt it might be helpful to give some thoughts on it, since many might wonder (as I did), how does this particular study bible contribute in a sea of newly published study bibles in the past 6 or so years. This post is just a quick blurb on initial impressions and what the bible feels like aesthetically. First, much like my reaction when I received my ESV Study Bible in 2008, I reacted to the size of the book. It is HUGE! It is at least 2" thick, and I may stop going to the gym three days a week if I adopt this new study bible as my main bible. Much of the size, again like the ESV one, is due to the amount of content packed into this book. It has ample notes, pictures, graphs, introductions, and like the ESV Study Bible, it has a large section of appendices in the back (I'll cover these in a later post). The publisher, though, may (like Crossway did with the ESV SB) later release a more streamlined edition that leaves out all the back-matter. However, the size is also due to the paper quality. It is a high grade paper, which makes it heavy and durable. The paper is also impressive in how it does not let any of the high definition picture bleed through to the other side. Second, the binding seems very quality. It is a sown binding, not glued, which adds to the quality and durability. It also means that from page one the book lays open (which means you do not have to lay an elbow on it to read the book. Third, the list of contributors is impressive. When the ESV Study Bible came out, I did not feel as though it could be matched when it comes to contributors, but the NIV SB may have reached that mark. I am excited to read Jay Sklar's notes on Numbers (he contributed on Leviticus in the ESV SB and received great reviews). But others stand out, such as David Pao on Luke, Mark Strauss on Acts, Doug Moo on Romans, Simon Gathercole on Philippians, Karen Jobes on Esther, V. Philips Long on Nahum, etc. I will cover 'article' contributors when I observe the appendices. Fourth, I was surprised but glad to see a 10+ page article on 'The Time Between the Testaments by Doug Moo. This is a helpful piece of teaching that should be addressed more often on the lay level. I will be interested to see what it says! Fifth, each NIV SB includes a free digital access card. This means you can use all its resources on your computer and phone, etc. The ESV SB also had a similar thing, but I rarely used it. However, for those who do not need a program like Logos or Accordance, this may be a good, basic option. Finally, it's the NIV. I have no problems with the NIV, I simply prefer the ESV. On the face of things, this new study bible has me pretty excited about what it contains, its quality, and the execution in general. But will it be enough to make me want to read a version I wouldn't readily pick up to read? This may be a bigger question for the masses than many SB publishers consider, but a well executed SB may be enough to win them over. Here is a huge heads-up from Phil Long. Logos is giving away the first volume of Luz's Matthew Commentary in the Hermeneia series, and $1.99 for the second volume. Phil also highlights other freebees! Thanks, Phil! In my Gottingen volume for the LXX-Minor Prophets, I have a handy list of the three orders of the Minor Prophets. I "xeroxed" it from Barry Allen Jones' volume, The Formation of the Book of the Twelve (Scholars Press, 1995). I didn't see these orderings listed anywhere else, so I thought I would be a help and post them here. Of course, for the MT and the LXX, only the first 6 books are ordered differently. For the 4QXIIa, the first nine are unattested, but Jonah is last in its ordering (which, if I remember correctly, is what Jones believes is most original, that is, the LXX-MP sequence but with Jonah last). Brill was kind enough to send me Prof. W. Edward Glenny's latest contribution to the Septuagint Commentary Series, edited by Stanley Porter, Richard Hess, and John Jarick. This third volume offered up by Dr. Glenny is a commentary on LXX-Micah. Since this is a commentary on the LXX-Minor Prophets, Ed's volumes have now covered, respectively, Hosea, Amos, and now Micah (see this simple list of differing orders of the minor Prophets). Ed has become a mentor to me in many ways, but primarily though his writing and through our personal time spent together at ETS/SBL and when we both happen to be in Cambridge. I am very excited to receive this volume and to read Ed's latest contribution to our understanding of the LXX-Minor Prophets. This is not a proper review of the book. That will come later. But a few superficial observations will give a little insight into the volume. First, this volume is the longest of the three (220 pp). Though about the same length as the first two, it is 58 pages longer than Amos (162) and 59 pages longer than Hosea (161) when the LXX-Minor Prophets intro is deducted from the Hosea volume (no other commentary on the LXX-MPs includes this intro). This is notable, since this goes in the opposite direction of the verse count for each book: Hosea (197), Amos (146), Micah (105). But, in the end, certain issues take up different allotments of space. And careful exegesis of these LXX texts is needed! Second, in line with the method of this series as laid out by the editors, this is a commentary specifically on the Vaticanus text of the LXX-MPs. 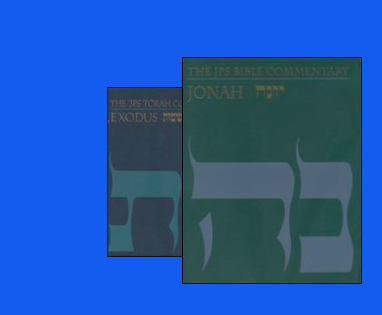 Ed's previous commentaries have been criticized for a lack of interaction with the Hebrew text. Such a void of interaction may be due to the editors stated method, but it will be interesting to see how Ed responds to this specific criticism in his interpretation of the stated method for this series. Third, and very superficially, Brill changed the cover material of these volumes from a cloth cover to a glossy hard cover, which seems to have allowed them to print information about the series, author, and specific volume on the back board of the book (a helpful feature not present on previous volumes). 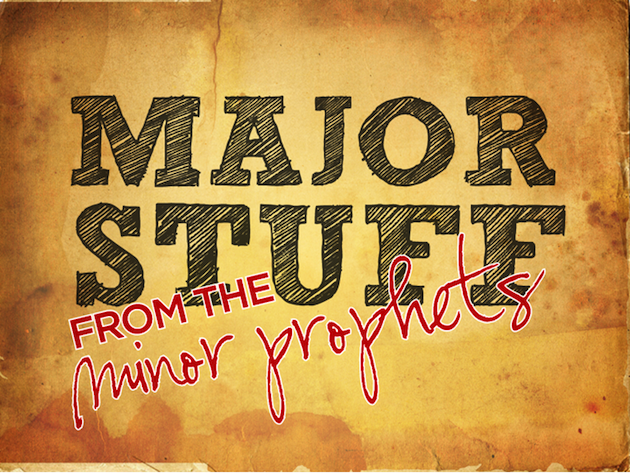 Here is a list of the OT (LXX) Psalms, Isaiah, and Minor Prophets in Acts. I assembled this for my own uses from an existing list (here). I could not find one simply on Acts, so I took time to make this one for some statistical reasons. I ordered them according to OT book in the order they appear in Acts. The English version is from the AV and the "LXX" version is Brenton's, and the Greek quoted is the quotation as it appears in the NT, according to NA27. Psalms 108:8 Let his days be few: and let another take his office of overseer. Acts 2:25-28 For David speaketh concerning him, I foresaw the Lord always before my face, for he is on my right hand, that I should not be moved: Therefore did my heart rejoice, and my tongue was glad; moreover also my flesh shall rest in hope: Because thou wilt not leave my soul in hell, neither wilt thou suffer thine Holy One to see corruption. Thou hast made known to me the ways of life; thou shalt make me full of joy with thy countenance. Psalms 15:8-11 I foresaw the Lord always before my face; for he is on my right hand, that I should not be moved. Therefore my heart rejoiced and my tongue exulted; moreover also my flesh shall rest in hope: because thou wilt not leave my soul in hell, neither wilt thou suffer thine Holy One to see corruption. Thou hast made known to me the ways of life; thou wilt fill me with joy with thy countenance: at thy right hand there are delights for ever. ὅτι ἐκ δεξιῶν μού ἐστιν ἵνα μὴ σαλευθῶ. οὐδὲ δώσεις τὸν ὅσιόν σου ἰδεῖν διαφθοράν. πληρώσεις με εὐφροσύνης μετὰ τοῦ προσώπου σου. Acts 2:34-35 For David is not ascended into the heavens: but he saith himself, The LORD said unto my Lord, Sit thou on my right hand, until I make thy foes thy footstool. Psalms 109:1 The Lord said to my Lord, Sit thou on my right hand, until I make thine enemies thy footstool. is become the head of the corner. This has been done of the Lord; and it is wonderful in our eyes. Psalms 118:22,23 The stone [which] the builders refused is become the head [stone] of the corner. This is the LORD'S doing; it [is] marvellous in our eyes. Acts 4:25 Who by the mouth of thy servant David hast said, Why did the heathen rage, and the people imagine vain things? 26 The kings of the earth stood up, and the rulers were gathered together against the Lord, and against his Christ. κατὰ τοῦ κυρίου καὶ κατὰ τοῦ χριστοῦ αὐτοῦ. Psalms 2:7 declaring the ordinance of the Lord: the Lord said to me, Thou art my Son, today have I begotten thee. Acts 13:35 Wherefore he saith also in another [psalm], Thou shalt not suffer thine Holy One to see corruption. Acts 7:49,50 Heaven [is] my throne, and earth [is] my footstool: what house will ye build me? saith the Lord: or what [is] the place of my rest? Hath not my hand made all these things? Isaiah 66:1,2 Thus saith the Lord, Heaven is my throne, and the earth is my footstool: what kind of a house will ye build me? and of what kind is to be the place of my rest? For all these things are mine, saith the Lord: and to whom will I have respect, but to the humble and meek, and the man that trembles at my words? Acts 8:32,33 The place of the scripture which he read was this, He was led as a sheep to the slaughter; and like a lamb dumb before his shearer, so opened he not his mouth: In his humiliation his judgment was taken away: and who shall declare his generation? for his life is taken from the earth. Isaiah 53:7,8 And he, because of his affliction, opens not his mouth: he was led as a sheep to the slaughter, and as a lamb before the shearer is dumb, so he opens not his mouth. In his humiliation his judgment was taken away: who shall declare his generation? for his life is taken away from the earth: because of the iniquities of my people he was led to death. Acts 13:34 And as concerning that he raised him up from the dead, [now] no more to return to corruption, he said on this wise, I will give you the sure mercies of David. Isaiah 55:3 Give heed with your ears, and follow my ways: hearken to me, and your soul shall live in prosperity; and I will make with you an everlasting covenant, the sure mercies of David. δώσω ὑμῖν τὰ ὅσια Δαυὶδ τὰ πιστά. Isaiah 49:6 And he said to me, It is a great thing for thee to be called my servant, to establish the tribes of Jacob, and to recover the dispersion of Israel: behold, I have given thee for the covenant of a race, for a light of the Gentiles, that thou shouldest be for salvation to the end of the earth. τοῦ εἶναί σε εἰς σωτηρίαν ἕως ἐσχάτου τῆς γῆς. Acts 28:26,27 Saying, Go unto this people, and say, Hearing ye shall hear, and shall not understand; and seeing ye sh all see, and not perceive: For the heart of this people is waxed gross, and their ears are dull of hearing, and their eyes have they closed; lest they should see with [their] eyes, and hear with [their] ears, and understand with [their] heart, and should be converted, and I should heal them. Isaiah 6:9,10 Ye shall hear indeed, but ye shall not understand; and ye shall see indeed, but ye shall not perceive. For the heart of this people has become gross, and their ears are dull of hearing, and their eyes have they closed; lest they should see with their eyes, and hear with their ears, and understand with their heart, and be converted, and I should heal them. καὶ ἐπιστρέψωσιν, καὶ ἰάσομαι αὐτούς. Acts 2:17-20 And it shall come to pass in the last days, saith God, I will pour out of my Spirit upon all flesh: and your sons and your daughters shall prophesy, and your young men shall see visions, and your old men shall dream dreams: And on my servants and on my handmaidens I will pour out in those days of my Spirit; and they shall prophesy: And I will shew wonders in heaven above, and signs in the earth beneath; blood, and fire, and vapour of smoke: The sun shall be turned into darkness, and the moon into blood, before that great and notable day of the Lord come: 21 And it shall come to pass, [that] whosoever shall call on the name of the Lord shall be saved. Joel 3:1-5 And it shall come to pass afterward, that I will pour out of my Spirit upon all flesh; and your sons and your daughters shall prophesy, and your old men shall dream dreams, and your young men shall see visions. And on my servants and on my handmaids in those days will I pour out of my Spirit. And I will shew wonders in heaven, and upon the earth, blood, and fire, and vapour of smoke. The sun shall be turned into darkness, and the moon into blood, before the great and glorious day of the Lord come. And it shall come to pass that whosoever shall call on the name of the Lord shall be saved: for in mount Sion and in Jerusalem shall the saved one be as the Lord has said, and they that have glad tidings preached to them, whom the Lord has called. ἐκχεῶ ἀπὸ τοῦ πνεύματός μου, καὶ προφητεύσουσιν. αἷμα καὶ πῦρ καὶ ἀτμίδα καπνοῦ. πρὶν ἐλθεῖν ἡμέραν κυρίου τὴν μεγάλην καὶ ἐπιφανῆ. Acts 7:42,43 Then God turned, and gave them up to worship the host of heaven; as it is written in the book of the prophets, O ye house of Israel, have ye offered to me slain beasts and sacrifices [by the space of] forty years in the wilderness? Yea, ye took up the tabernacle of Moloch, and the star of your god Remphan, figures which ye made to worship them: and I will carry you away beyond Babylon. Amos 5:25-27 Have ye offered to me victims and sacrifices, O house of Israel, forty years in the wilderness? Yea, ye took up the tabernacle of Moloch, and the star of your god Raephan, the images of them which ye made for yourselves. And I will carry you away beyond Damascus, saith the Lord, the Almighty God is his name. καὶ μετοικιῶ ὑμᾶς ἐπέκεινα Βαβυλῶνος. Habakkuk 1:5 Behold, ye despisers, and look, and wonder marvellously, and vanish: for I work a work in your days, which ye will in no wise believe, though a man declare it to you. ἔργον ὃ οὐ μὴ πιστεύσητε ἐάν τις ἐκδιηγῆται ὑμῖν. Acts 15:16,17 After this I will return, and will build again the tabernacle of David, which is fallen down; and I will build again the ruins thereof, and I will set it up: That the residue of men might seek after the Lord, and all the Gentiles, upon whom my name is called, saith the Lord, who doeth all these things. Amos 9:11,12 In that day I will raise up the tabernacle of David that is fallen, and will rebuild the ruins of it, and will set up the parts thereof that have been broken down, and will build it up as in the ancient days: that the remnant of men, and all the Gentiles upon whom my name is called, may earnestly seek me, saith the Lord who does all these things. λέγει κύριος ποιῶν ταῦτα 18 γνωστὰ ἀπʼ αἰῶνος.